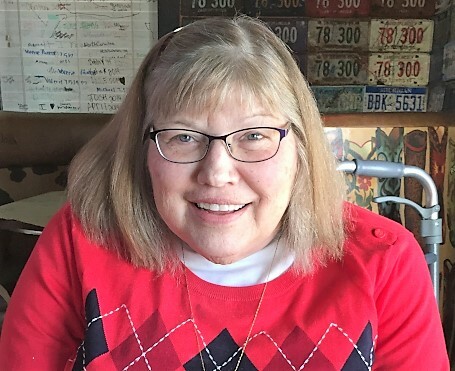 ARMENTROUT, Vicki Ford, 67, of Old Church, went to be with the Lord on February 12th, 2019, surrounded by her family. She was born on March 11, 1951 in Richmond. She is preceded in death by her father, Elton A. Ford. Vicki is survived by her husband and her best friend of 45 years, David R. Armentrout; her mother, Hilda Ford; her daughter, Aimee Peacemaker (Jesse); her son, Josh Armentrout (Jamie); her grandson, Vincent Armentrout; her sister, Dale Baronian; her brother, Wayne Ford (Myra); and her beloved dog, Millie. Vicki is also survived by her sister-in-law, Judy Weis; her brother-in-law, Gary Armentrout (Jacque), and numerous nieces and nephews. Vicki was a graduate of Old Dominion University and VCU. She held a Master’s degree in Education and was a beloved teacher in Hanover and Henrico Counties for many years. She loved teaching math and science to middle schoolers. In her later career, Vicki taught at the Mathematics and Science Center. She was a volunteer at MCV Hospitals for more than 20 years. Vicki was known for her love of dogs, her home, traveling, and her church family at Bethlehem Presbyterian Church. The family will receive friends on Friday, February 15th from 4 – 7 pm at Monaghan Funeral Home, 7300 Creighton Pkwy, Mechanicsville, VA 23111. A celebration of Vicki’s life will be held 11 am, Saturday, February 16th, at Bethlehem Presbyterian Church in Mechanicsville. In lieu of flowers, donations may be made in memory of Vicki, to Bethlehem Presbyterian Church, 2446 Old Church Road, Mechanicsville, VA 23111.